Suitable for aquariums up to 25 gallons, the AQUATOP PF25-UV Power Filter includes U.V. Sterilization, a self-adjusting surface skimmer and replaceable filtration media. The PF25-UV is capable of filtering up to 90 gallons per hour and includes an adjustable flow rate. This convenient Hang On Back style filter has a built-in, self adjusting surface skimmer for cleaning the surface of the water and to promote gas exchange. The featured UV Sterilizer of the PF25-UV requires no extra plumbing, allowing for a quick and easy installation. The UV Sterilizer of the PF25-UV helps eliminate unwanted algae blooms, keeping aquarium water crystal clear and aids in the health of your aquatic creatures by eradicating free-floating parasites. The PF-UV Series fits on aquarium rims up to 3/4", and comes equipped for mechanical and chemical filtration. With a replaceable filter pad enhanced with AQUATOP's Bamboo Carbon, UV Sterilization and a self-adjusting surface skimmer, the PF25-UV is a unique filter for all your aquarium needs. Product Dimensions: 6.5" x 6" x 11"
PF15-UV & PF25-UV will not fit aquarium rims with a thickness exceeding 3/4"
How does the Protein Skimmer work? Directions??? We have received your recent product inquiry regarding a PF25-UV. The PF-UV Series does not include a Protein Skimmer. The unit includes a self-adjusting Surface Skimmer. The directions can be downloaded on the product page under the Owner's Manual link. The manual is in PDF Form. Thanks for the quick response, but the manual doesn't say how to adjust the surface skimmer or if I should leave the clear plastic ring on. I'm confused. Pictures online show the ring, but the box shows the filter w/o the ring. I have no idea what to do with the ring or the black part. I'm used to the Penguin Bio-wheel and this skimmer probably is great; just have no idea how to make it work most effectively. Oh well. I'll keep trying. I currently have the clear ring off. I did add carbon to the filter cartridge. My cowfish has tail rot. Hoping Maracyn Plus and this UV filter help out! The Surface Skimmer works best with the plastic ring. Depending on the height of your water line the Surface Skimmer is self-adjusting. If your aquarium water line is near the top of the aquarium's edge the Surface Skimmer will float up to the top of the water line. The purpose of the Surface Skimmer is to help promoted gas exchange increase oxygen saturation as well to help keep the water's surface clean and free of oils and proteins. If you observe water falling into the Surface Skimmer from the water's surface, the Surface Skimmer is operating properly. The water kept overflowing on the other side where the surface skimmer and tube is when I put it on full power, so I set it about half way there and it is doing just fine. Any suggestion why this is happening when I set it to it's pull potential? We have received your recent product inquiry regarding a PF25-UV. When your unit's flow rate is running at 100% you observe overflow on the Surface Skimmer side. One reason for this could be that the filter cartridge needs rinsing or replacement. The filter media might be backed up with debris which in turn would stiffen the flow rate through the filter. As you know the PF-UV unit has a UV Sterilizer. If the flow rate passing though the filter is at 100% the UV unit is clarifying water at that rate. 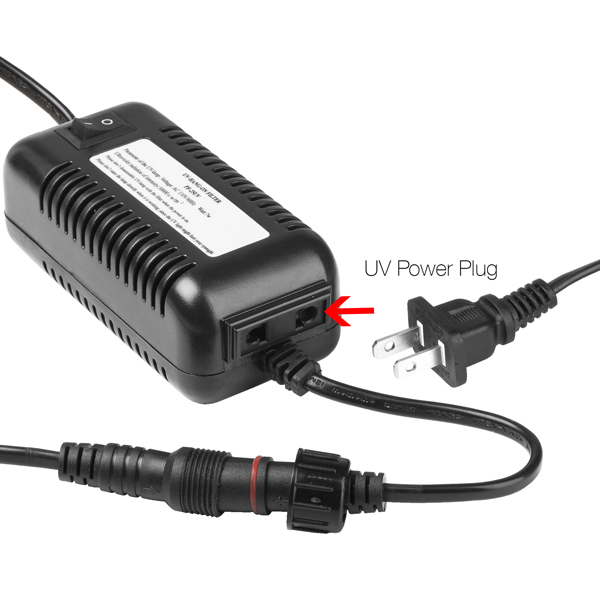 When the flow rate is decreased the UV unit will work more effectively because the emitted UV rays have a higher contact time with the aquarium water. We recommend setting the flow rate somewhere between 50% and 75%. We have found that this window yields very good results. If the unit's flow rate is at 100% it is rated to clarify aquarium resulting in the elimination of algae. When the flow rate of the unit is lessened the potential for sterilizing aquarium water increases. This allows for eliminating free-floating microorganisms such as Ich. The adjustable flow rate of the PF-UV is a rather important feature because it allows a person to fully control the potential of the unit. Dialing the flow rate back is normal use for the PF-UV Series of hang-on back filters with UV. We think of the flow rate much like the driving speed of a car. Although most of our cars can do 100mph, we tend to drive them at 65mph. The filter is almost perfect. It works great for the price, especially for having a UV. 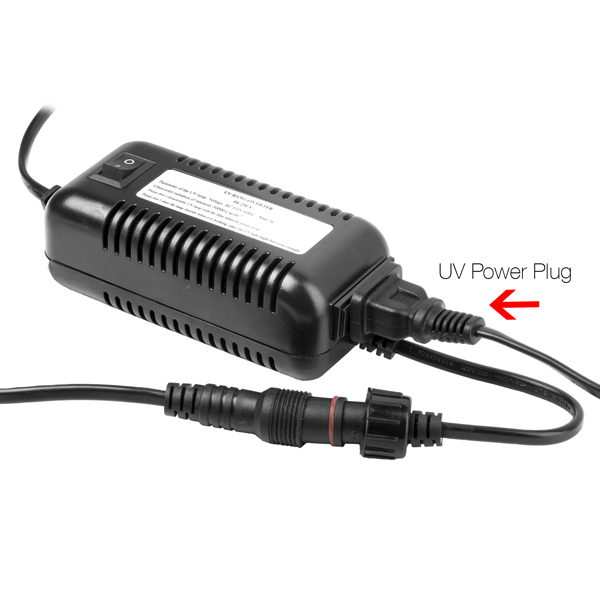 I use the PF25-UV on a 20 gallon tank in a sunny room to control algae. Could not see the fish for months. 1 week with this filter, water almost clear. Amazing task for little filter. Only 1 complaint, the filter cartridge is too restrictive and the flow rate had to be turned way down to avoid backflow into tank. Would like better working flow rate. The pump is really powerful and can move a lot of water, but cartridge cannot handle the volume. Great all in one product! I have noticed immediate reduction in nuisance algae growth. This is a great all in one product as you can tell by the picture there in no algae after even one week. By now the tank would have been covered with green algae, I only leave the LED light on for two hours a day. i am using this filter and a bio wheel 400 on a 29 gal so far i like the unit:) and at a good PRICE!! One of the best hang on filters! I love this filter! It's quiet, it has a surface skimmer and a UV sterilizer, what more could you want? I also like the filter cartridge, you can put your own media in it. The only problem is when the adjustable flow is turned up to half or more the filter spills water back into the tank from the intake side, no big deal really but half the water that goes in doesn't get filtered. It is still a great filter and I recommend it. Intake tubes and casing are thin and brittle, treat them gently. Poor replacement for a regular HOB, as the media capacity is tiny; but good flow, and adjustable down to a mere trickle if needed. UV works at least as well as any other UV unit in this price range. I purchased this only as a portable UV unit that can be moved between tanks as needed for intermittent use, without taking up any room in the tank; and for that, it's perfect.